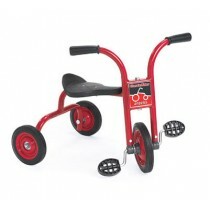 Protect your little rider with our trike helmets! Helmets are vented for maximum comfort and feature an adjustable chin strap. 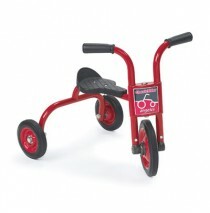 Toddler-size helmet fits head size: 18” – 20.” Toddler Trike Helmet by angeles. 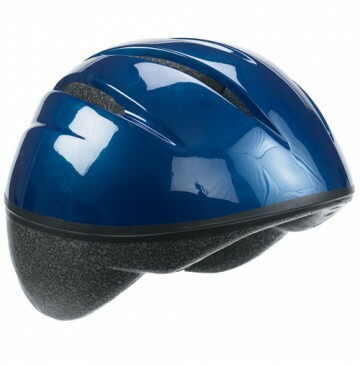 Trike Helmet is designed with safety. Perfect for daycares and preschools. All helmets meet or exceed ASNI Z90.4 and are CPSC and Snell B95A certified. Head Size 18" to 20"
Safety Tip: For maximum protection, CPSC recommends replacing after 1 year of use. 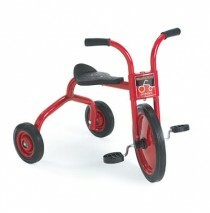 Angeles ClassicRider Pusher Trike 8"
Angeles ClassicRider Pedal Pusher Trike 8"